If you love wine then Laguardia, Spain is a place you should start planning to visit on your next vacation. The city dates back to over 1,000 years and is till protected by city walls. 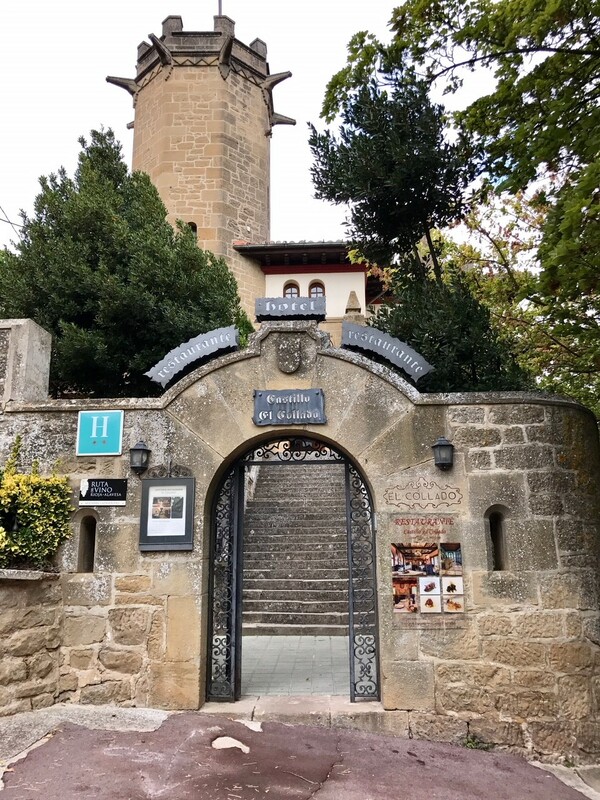 We had the opportunity of visiting this beautiful Spanish town which is located in the region of Rioja Alaves. The town is located on a high hill and it is surrounded by many famous wineries such as Bodegas Ysios and Marques de Riscal. However, we wanted to visit a winery that was not so well known internationally, but one that was known locally. I stayed at the Hotel Castel Collado and the staff were very friendly and highly recommended the Winery Carlos San Pedro. There are dozen’s of other wineries, but Carlos San Pedro is very unique. The winery is over 500 years old and is located deep in the caves of Laguardia. 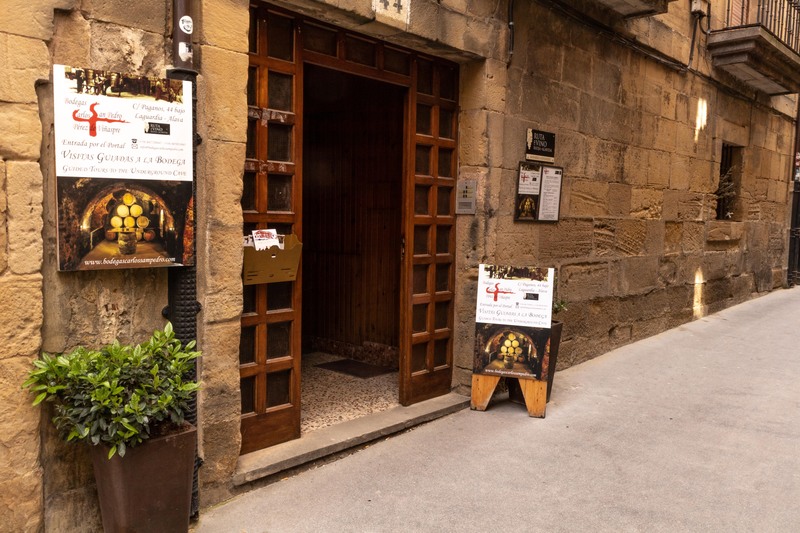 The caves once served as store houses for military supplies to defend the city but were converted into wineries centuries ago. Here is a video of WTT visiting the winery. Hotel Castillo el Collado is an amazing refurbished hotel sits atop the hill of Laguardia. From the top of the tower you can see for miles in every direction. The hotel has 10 unique rooms that vary in size and layouts. There is also a restaurant in the hotel which we highly recommend. We rented a car from Bilbao and drove for a little over an hour before we arrived in Laguardia. Parking is limited atop the hill near the hotel, so try to arrive as early as you can. There are buses from San Sebastian and other surrounding towns like Bilbao. The nearest train station is located in Logrono and a bus can be taken from there. Join World Traveler’s Today on our Basque Country Wine Tour. Visit our tour page to learn more. Are you a wine lover? Join World Travelers Today in Spain for our Basque Country Wine Tour. Sign up to receive exclusive offers on our ESCAPES and much more!